A screenshot of an 8-bit rendering of the New York City area. LOS ANGELES — With the march of new features and enhancements, it’s funny to me that we’re also seeing a wave of retro-inspired software. I recently looked at iOS 86, a proposed retrofit of Apple’s classic OS onto its shiny iPhone. Recently, I came across the 8-bit Google Maps, which is basically what it sounds like. An elaborate April Fools joke, the map system turns our streets and forests into a land reminiscent of Super Mario or Zelda. 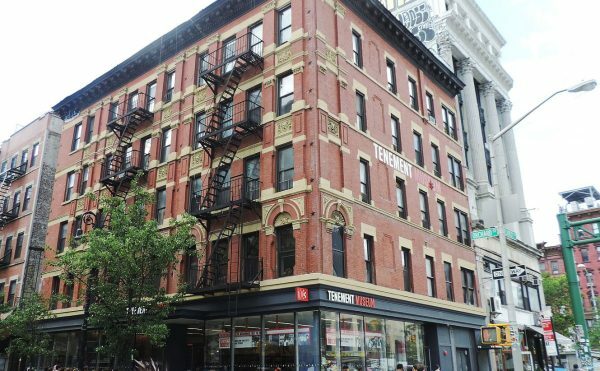 When I zoomed in on Eighth Avenue in New York City, I even found a few characters floating around near the Meatpacking District. And if 8 bits are too many, there’s also the 1-bit camera by David Lindecrantz. For those of you craving more retro goodness in your life, you can now take pictures of your cats, your friends and yourself in 1-bit goodness. There in fact was a time when this was possible, with the Game Boy Camera, and now it’s being revived in a popular Tumblr. What’s interesting about these retro trends is that they largely exist as thought exercises (though the 1-bit camera is indeed available in the Apple Store for 99 cents). Few people would actually want to live with an 8-bit rendering of their hometown, but it sure is fun to imagine. 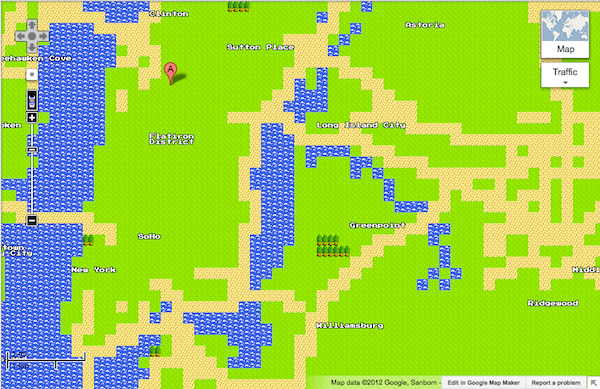 Also of interest, an 8-bit Google Map Easter Egg tumblelog. There’s nothing like seeing Minneapolis’ Claes Oldenburg sculpture and in LA’s Eames House in 8-bit.